This stem of this plant is swollen at the base, hence the main common names. There are a few large lobed leaves at the top of the stem. 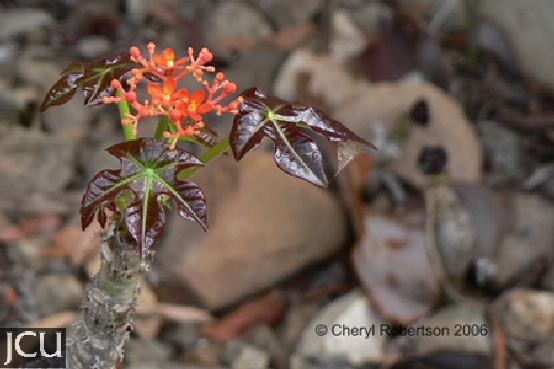 The bright red flowers are clustered at the top of a stout stalk. Fruits 3-lobed, dehiscence is explosive. All parts of the plant are poisonous but particularly the seeds and the sap which is milky. Flowers present most of the year.